The best airport I own. The performance is amazing with no frame rate loss. The scenery not only includes the airport, but the city of Dubai and Sharjah. I love flying out from here because of the detail of scenery. This is a must have scenery. The airport was built for FSX and is quite some years old. 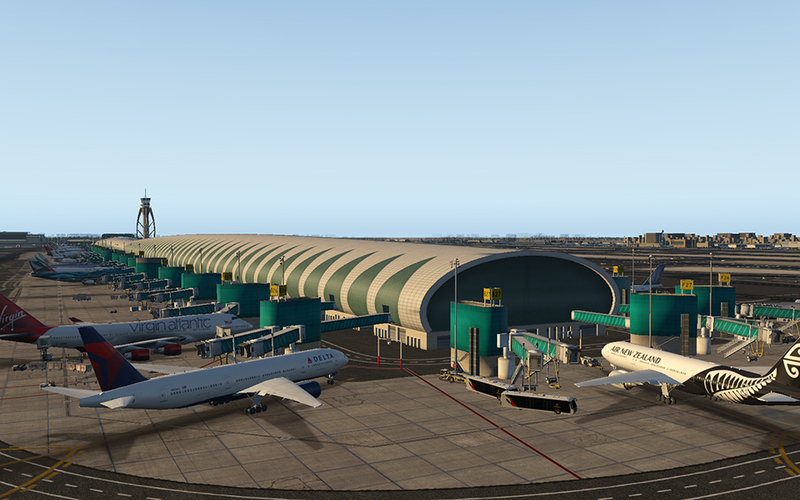 Considering that, it is still a great airport in P3Dv4. However there are a few little things missing for absolutely top grades. One point are the Ctrl-J jetways, which is of course not state of the art anymore. Another thing is the missing dynamic lighting. I am not sure what FlyTampa’s upgrade plans are with this airport but I hope it will happen. The surrounding area and the airport itself are exceptionally well done.